Floors in public spacesare exposed to wearing and tearing. Flooring systems that fall short on wear resistance result to costly maintenance, repair and high cleaning costs. Floor coverings in public places must carry a positive public appearance and durable performance. 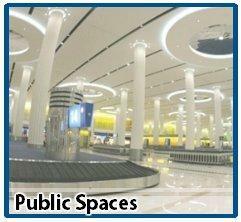 Excellent flooring choices for public places are those with wear-proof and tear resistant properties. High Performance Solutions, Inc. is a provider of flooring and coating solutions in the Philippines that specializes in public flooring projects. HPS flooring system ensures a long lasting, quick and successfully installed public flooring that will contribute to the overall ambience to the public environment.